The title is a typo. I intended it to be Linear, and decided to keep it after it showed up that way on Flickr. 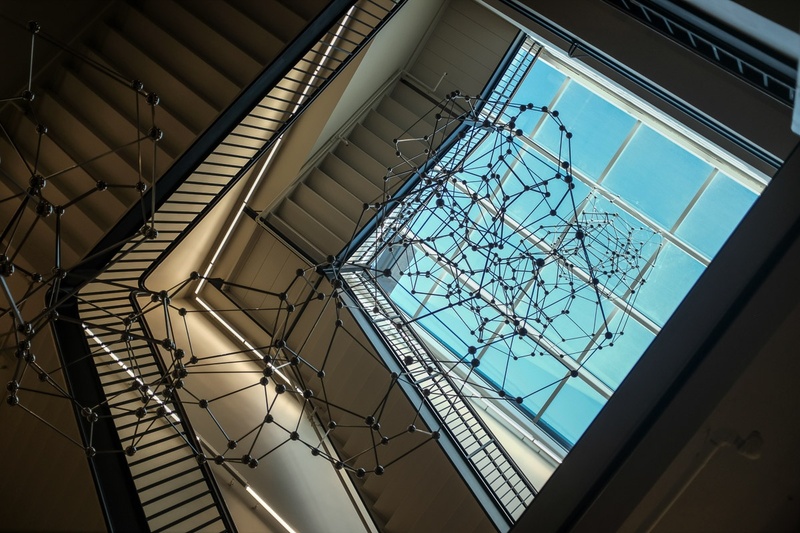 This is a staircase and sculpture in a hallway connecting the Chemistry and Mathematics departments at the Massachusetts Institute of Technology. The artwork is Antony Gormley’s Chord (2015). The stairwell was designed by William Welles Bosworth, who designed the building.